Are you the type of person who loves watching romance movies on Netflix, Hulu or Amazon with your significant other? Has it been some time since you’ve been together and are looking forward to the long weekend you’re supposed to have together? What are the best long-distance relationship movies should you be watching together during the weekend? One of the most popular long-distance relationship movie to date is Sleepless In Seattle. In the movie, two people from both ends of the country end of falling in love due to a radio program. Nora Ephron is well-known for keeping lovers apart until you can’t help but hope and pray the pair come together. It was seen in both You’ve Got Mail and When Harry Met Sally movies, and she does it with Sleepless In Seattle. The chemistry of the two people is so enthralled in people’s mind that hopes they get together. It’s like the talk show that brings them close together – it’s really subtle but warm. This is another popular romantic movie where love transcends distance. This is an intense long-distance relationship where one person lives in 2008 and the other in 2006 but communicate via a mailbox at the lake house they both have lived in. In this movie, the guy is trying to recover from a devastating heartbreak; the girl goes from one relationship to another without making a commitment. They meet over a video game in a bar and laugh about the mandatory dating in New York but end up falling in love when they kiss. While they have some professional and romantic expectations, one has to wonder if they would make it after one leaves for San Francisco. These answers are provided with a mixture of both charm and honesty. If you love this bestseller from Ian McEwan, you don’t want to miss the screenplay of it. But, it ends in tragic love and loss, highlighting what betrayal and atonement include. If you understand what it is to love a person and wait for them to love you back, despite the realization that they won’t ever feel the same, this is the move for you. This sweet movie involves two lovers who live on different continents, as one of them overstayed their visa. The difficulties of long distance relationships rear their ugly head, which finds them struggling with them in the midst of their complicated emotions and feelings. This is a great long-distance relationship that goes beyond class, race, culture and nationality. A Bangalore cell center executive poses as an American native that falls in love with a charmer. However, she leaves behind a livid father and perplexed fiancé to meet this man she is in love with. Still, there are a plethora of challenges they must face. Idaho Falls farm kid John Groberg becomes a missionary in the remote area of Tongan islands, leaving everybody including his girlfriend behind. While traveling, they send letters back and forth. This is a great long-distance relationship movie for anyone who has ever felt this way. A favorite novel for many was turned into a movie for a number of reasons. It follows the life of Southern bell Scarlett O’Hara, who is manipulative but fixated on Ashley Wilkes and Rhett Butler. The movie is bound to cause all kinds of emotions about how you feel when someone you love is far away. 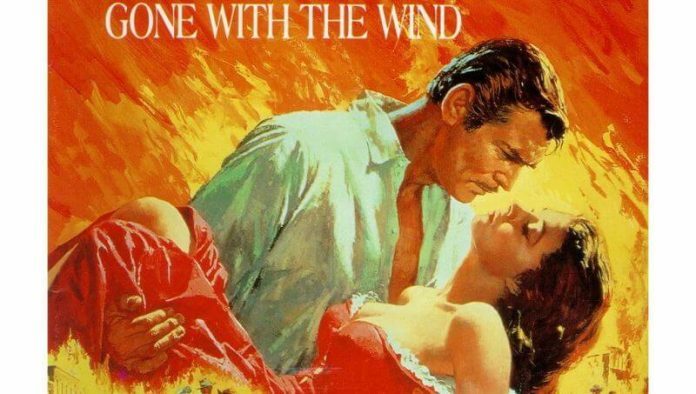 If you want a sentimental movie that has tested the waters of both time and distance, Gone With The Wind is the film for you. A young couple meet on a European train and spend one night together in the city of Vienna. Although they know it’s their one night together, they make the most of it that they can. The great aspect of this movie is the GenX torrid love affair. The couple’s conversations are so enthralling that you feel as if you’re on the train with them, watching it in real life. The great thing about this movie is the director’s distinct grasp of uncovering the extraordinary in the ordinary. People talk and share something so deep that they leave a part of themselves on the other person. Before Sunset is the sequel to Before Sunrise, which occurs nine years after Celine and Jesse encounter each other in Before Sunrise. They come across one another again during Jesse’s book tour in France. Although conversations continue, it’s not like when they were young, and there was hope. They continue talking about life until Jesse has to go back home to America. Yes, it was so good that a part three was made. Another nine years passes where Jesse and Celine are in Greece together. It’s been nearly 20 years since they first met each other on the Vienna train. Today, they are parents who have come to grips with life’s realities. However, it’s the conversations they hold that keep the audience coming back for more and hoping they will finally have the happy ending they’ve been looking for. Linklater hinders their chance for love and ends the relationship for good. The main man goes back and forth in time that involves the one true love… his wife. He met her when she was nine years old, telling her they’d see each other again. He does at her college library. They fall in love and are married, but he can’t always stay with her because he’s constantly traveling back in time. This is a movie that certainly illustrates that love really does transcend time and space. It was about a couple of truly loved each other but were ripped apart when the boyfriend is killed during a robbery gone wrong. The physical and spiritual planes could not keep their love apart. If you watch this movie, you’re going to need a box of tissues. A separated couple, who had their memories of one another wiped clean, appear to experience deja vu. This movie may not have a lot of romantic overtones but it certainly one that includes a friendship between two people that become unique pen pals. Mary is an eight-year-old girl who lives in the Melbourne suburbs; Max is a 44-year-old obese male in New York. While there are many long-distance relationship movies you can choose from, these are the top 15 that will let you spend some cuddle time on the couch with your loved one. You don’t have to identify with anyone in particular – just sit back and enjoy your time together.